In 2018, Derek Dietrich batted .265 and had a slash line of .330/.421/.751. In his career, he has a batting average of .254 with 60 home runs and 204 runs batted in. He is currently a free agent. Do not let these numbers fool you. 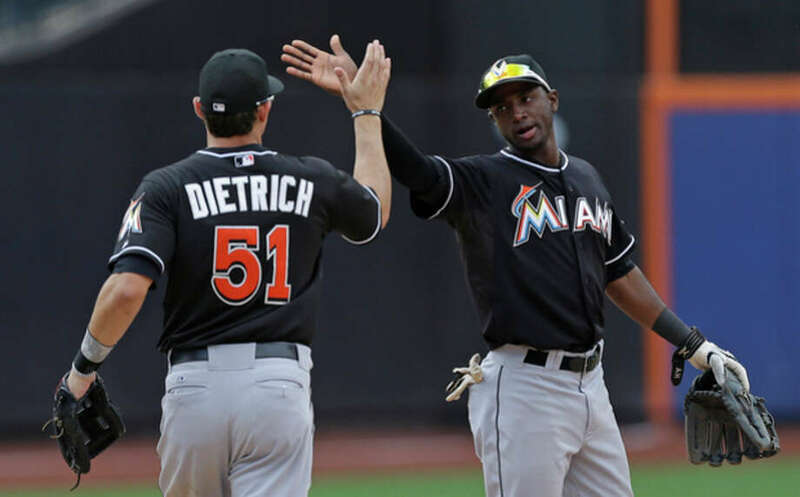 Dietrich has spent his entire career with the Miami Marlins. Marlins park is a pitchers ball park and numbers there seem to falter. Deitrich is a victim of that. At Marlins Park, Deitrich has a career .234 average with an OBP of .319 and a slugging percentage of .377. Away from Marlins Park he is a career .272 hitter with an OBP of .351 and slugging percentage of .465. Dietrich is versatile. He can play 1B, 2B, 3B, LF and RF. Do the Mets need another guy that can play many positions for an injury prone team? The answer is yes. You can never have enough depth on a winning ball club. Any good team that has won in the past (Royals, Cubs, Astros, Red Sox) has a strong bench that can fill in at any position. I say the Mets should try and get him at a reasonable price.